The question of democracy, member states’ budget deficits, the migrant crisis, mass unemployment, social, environmental and fiscal dumping … these are all current issues, stakes which require a response on a European level. At Cepag, we address these issues, both in our training courses and our activities and studies for a more active citizenship and the emancipation of the all workers. For instance, our training courses offer a look into the impacts of the European Union on our everyday lives, into its institutions and the manner in which they function, European governance, as well as the question of free trade. Numerous seminars, as well as some of our published studies, through the different themes they approach, include this European dimension. In 2014, our annual awareness-raising campaign was centred on our vision of and for Europe. The close collaborations between our movement and the FGTB, a member of the European Trade Union Confederation, are an asset in all of these considerations. The CEPAG, Centre d'Education Populaire André Genot, is a continuing education organization, recognized by the Federation Wallonia-Brussels decree of 2003, which develops a training and animation dynamic for the working class public, and coordinates 9 federated regional structures. It also develops international cooperations, particularly in French-speaking Africa. The CEPAG deals with different issues in the fields of education and training, culture, employment and unemployment, economy, retraining cells, environment, mobility, non discrimination, public services, citizenship, …. 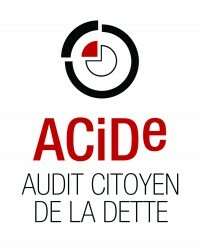 The organization publishes analyses, studies and brochures, organizes debates, conferences and communication campaigns, co-organizes a certificate with the Free University of Brussels, and directs and produces videos broadcasted on the public TV channel as well as on Youtube (CEPAG TV and Regards Emissions TV). Some of its activities are carried out in collaboration with the FGTB (Fédération Générale du Travail de Belgique) and its various institutions. The CEPAG is a nonprofit organization (ASBL) with 82 staff members.